The Brewers Association is reporting that nearly 70% of tickets for the Members-only session on Saturday afternoon of the GABF have been sold during the Pre-sale for AHA members. In addition, the four-packs for members are sold out as are tickets for the Members-only entrance for Thursday and Friday night (public entrance tickets are still available though). A few hundred tickets till remain for the Farm to Table Pavilion. The remaining tickets go on sale to the general public June 30th. It looks like the 2011 GABF is on its way to another record sell out. I wouldn't wait to buy your tickets if you plan on going. Tickets are now on sale to the general public, but tickets to the Saturday Members-only session are now sold out. Click to here to purchase tickets for the remaining sessions. 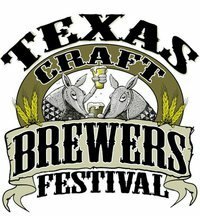 The Texas Craft Brewers Guild, who's membership consist of the breweries and brewpubs of Texas, has announced the Texas Craft Brewers Festival will take place on Saturday, September 24th at Fiest Gardens in Austin, TX. This is the first beer festival organized by an actual brewers association in Texas in quite a few years (for those that remember the last one, that logo may look a little familiar). There's not a whole lot of information released about the event yet other then the creation of the official Facebook page, so this is mainly just a Save The Date announcement. I don't get up to The Woodlands very often, but this would be a great reason to. 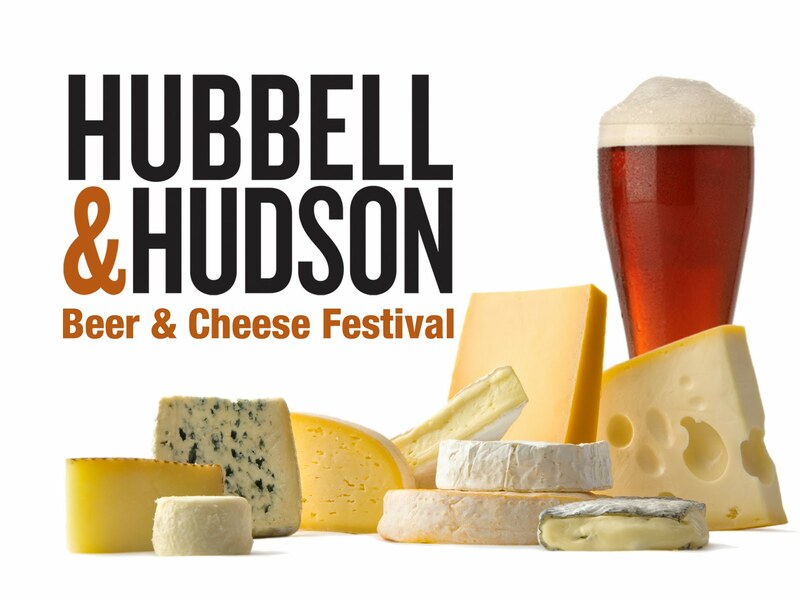 Hubbell & Hudson, a culinary world market and bistro located in The Woodlands Town Center, is hosting their 2nd Annual Beer & Cheese Festival on Saturday, July 2nd from 12pm ~ 6pm. Live music will be on the patio while beer and cheese experts will answer questions and help you pair up artisan cheese with craft beer. There will also be demonstrations by Carmine Chiricio in the cooking school on making and using mozzarella cheese. Its free to attend, but you will need to prove you're over 21 to sample any beer. If you're not heading out of town for the long weekend, I would definitely check it out. And if you've never eaten at their bistro, then I highly recommend you try it. They have some of the best steaks I've ever had. Its a great place to catch dinner before seeing a concert at the Cynthia Woods Pavillion. 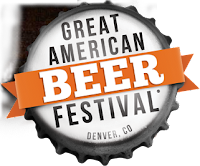 One of the perks of being a member of the American Homebrewers Association (AHA) is the opportunity to buy tickets to the Great American Beer Festival (GABF) before they go on sale to the general public. The members-only pre-sale starts at 10:00am MDT on Tuesday, June 28th and includes the opportunity to buy tickets to the Farm to Market Pavillion as well. Members should have received an email message with instructions and a link to purchase tickets. If you're not currently a member, you can still quality for the pre-sales event by joining the AHA before June 26th (click here for membership info and benefits). The remainder of the tickets will go on sale to the general public on Thursday, June 30th. Considering the GABF has sold out for the past four years (and did it earlier then ever last year), I wouldn't hold off on buying tickets if you're thinking about attending. The session that typically sells out first is the members-only session on Saturday afternoon which is when the winners of the competition are announced. I think the Thursday evening session is the best as all the beer is available and most of the brewers are usually around and still energetic. And if you are going, don't forget to pick up a ticket for the Denver Rare Beer Tasting as well. Vic & Anthon'ys Steakhouse has announced a Mid-Summer Beer Dinner to showcase some of the new beers from their recently expanded craft beer selection. 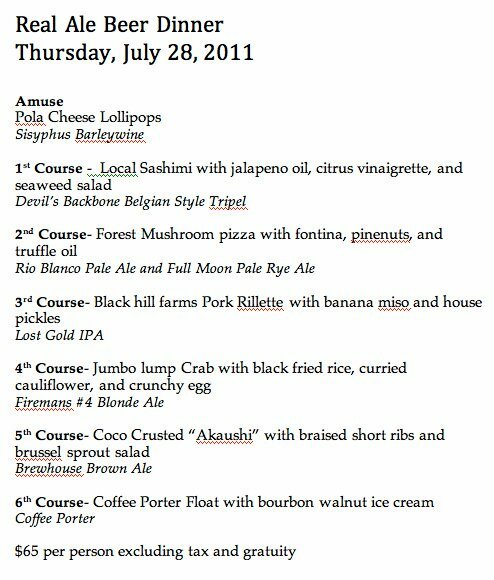 The dinner will take place on Friday, July 8th at 7:00pm with a very reasonable cost of $55 per person (plus tax and tip) for 5 courses paired with 7 beers (see full menu to the left. Contact Staci Chambers at 713-228-1111 for reservations. I wouldn't wait too long though, only 50 seats are available and beer dinners at V&A's typically sell out. One national winner will be named, along with a winner for each state, and one per region. Winners will receive the undying glory of being named "Most Bitter Bar" for the period of one year. In Texas, the Petrol Station is competing against the Flying Saucer locations in Houston and Garland as well as the Meddlesome Moth in Dallas. How can you help them win this prestigious honour? Simple, go hang out at the Petrol Station (something you should do anyway) and order a beer brewed by Stone Brewing between 12:00am on June 4th and 11:59pm on June 11th. They're also opening for a special lunch on Thursday, June 9th (yeah, thats right, open for lunch on a weekday) and serving Double Dry-hopped Ruination, SSR, Cali Belgique, IPA and Belgo-Guardian with pulled pork sandwiches, chorizo mac-n-cheese and more. The Beer Mapping Project (a GREAT website for finding beer when travelling) has issued the following challenge for the month of June: only drink beer produced in the state where you are currently drinking. In other words, if you’re planning to stay in Texas for the entire month of June, then you can only drink beers brewed in Texas. If you travel to Colorado for the weekend, then you can only drink beer brewed in Colorado while you’re there. 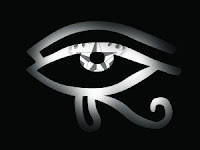 Its all just for fun but the idea is to show your support for the local craft breweries. Considering HB602 was just killed in the TX Senate by objections raised by ABInBev, its never been a better time to show your support for all the Texas breweries. And with all the new breweries that have been opening, you certainly have a pretty wide selection of beers to choose from. If your favourite bar, restaurant or package store doesn’t carry Texas beer, then politely ask if they will start. 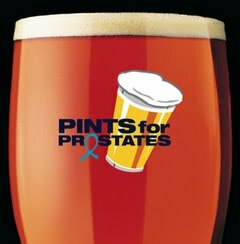 If you decide to take on the challenge and use Twitter, include the tag #statebeer when tweeting about it to show your support. Are you up for the challenge?